Susan Elia MacNeal at The Poisoned Pen! Saturday found me climbing aboard the Jeep to head on over to Scottsdale and my favorite bookstore, The Poisoned Pen. As he had to work, this meant I left Denis in my dust, and I'm pretty sure the man was pouting as he stood in the driveway watching me leave. Ah well. 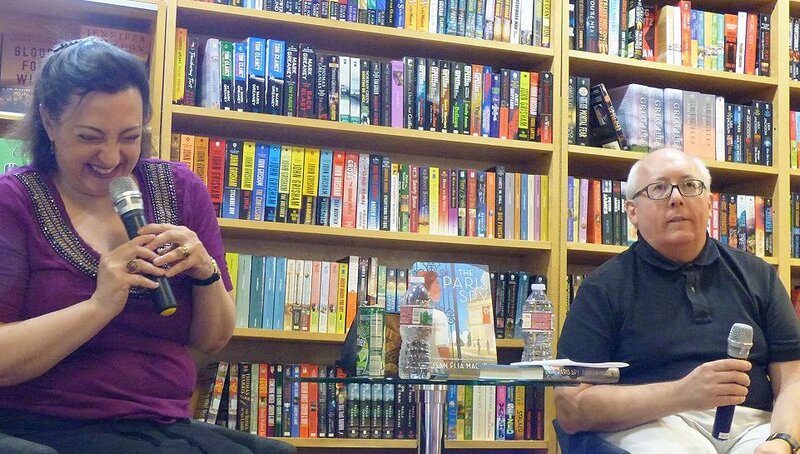 I, too, didn't like the fact that he couldn't go, but that wasn't going to stop me from being present for Susan Elia MacNeal's first appearance in Scottsdale! As I expected, people were showing early interest in the event, but I managed to reserve seats, then went to sit at the back table where I read Michael Connelly's "The Safe Man," learning Harry Bosch's creator can also write a ghost story that makes the hair stand up on the back of your neck. It was just as I hoped. As it drew closer to 2 PM, more and more people showed up, and it wasn't long until a mad dash to bring in more chairs was called for. There was a happy buzz in the bookstore; people were excited to see the author of the Maggie Hope mystery series. Before the event officially started, the person I was saving a seat for arrived, and we got to catch up on news. Then... there she was! Susan Elia MacNeal & interviewer John Charles, having fun. 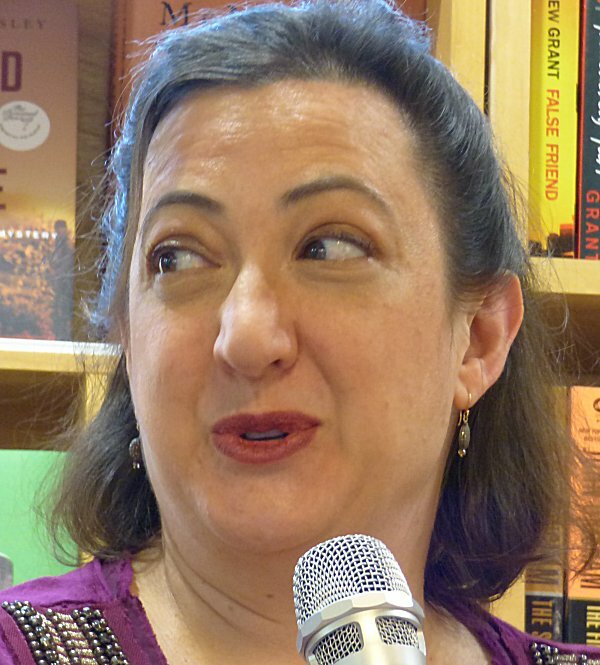 As the time-honored author ritual of getting comfortable in the chair and making sure the microphone worked was observed, Susan had some lace showing. As she adjusted it, she quipped, "I went to Catholic school, and the nuns would be so happy to know that I'm wearing a slip in this heat!" When asked for some background, Susan told us that she was born in Buffalo ("completely different weather! "), went to Wellesley, and worked for a publishing house in New York City before finally being able to take the step of becoming a freelance writer. What was the final step? Having insurance through her husband. ("Trust me. This is a big deal for freelancers!") Susan wrote anything she could, "a cocktails book, a wedding book...."
During this time, her husband, who is one of Jim Henson's Muppets, became very popular when Bear in the Big Blue House was a hit in the UK. (He was Bear.) Invited to London, Susan and Noel had dinner with a man who handed them a copy of TimeOut London, saying, "You might want to check out the Cabinet War Rooms because-- contrary to what you Yanks think-- World War II didn't start with Pearl Harbor!" Susan did visit the Cabinet War Rooms, and she had an almost mystical experience. "For a moment I swear I could hear the telephones ringing, the typewriters clattering, and smell the cigar smoke. This is when I decided to write about Maggie Hope." When asked if she originally intended to write a series, MacNeal said, "When Mr. Churchill's Secretary was sold, it was as part of a two-book deal." So she fell into a series naturally. "I love the character of Maggie so much, and there's so much that we're still learning about World War II. I'm really happy to be writing about Maggie!" Why write about World War II? "I think it's because women really got a chance to prove themselves then," Susan replied. "I had a horrible time getting an agent. 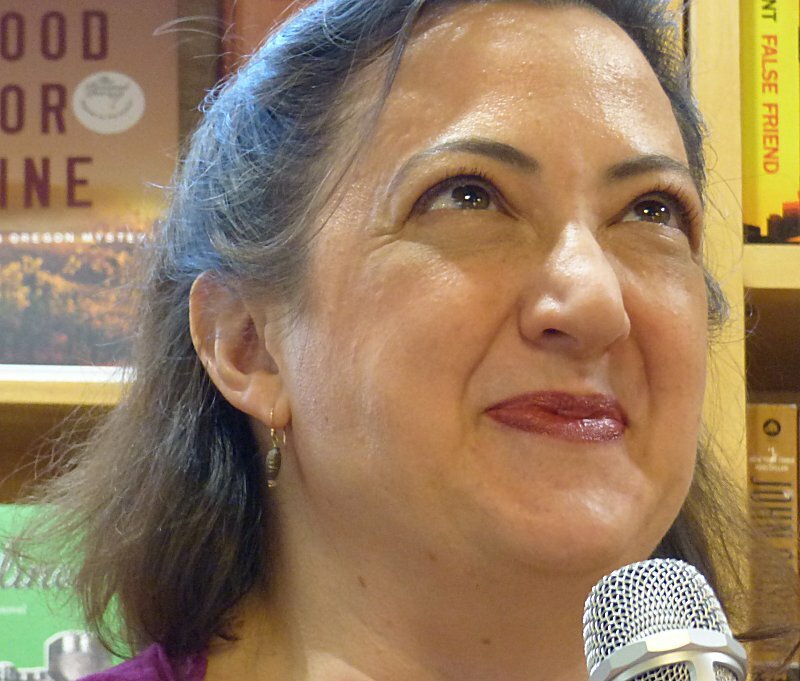 I was told time and again that women readers were not interested in twentieth-century historical fiction. Mr. Churchill's Secretary actually predates Maisie Dobbs, although it wasn't published before Winspear broke through the twentieth-century historical fiction barrier. And of course, Downton Abbey really helped, too." 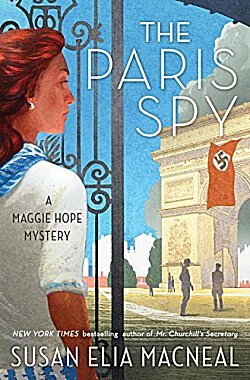 John Charles pointed out that Coco Chanel is one of the characters in the latest Maggie Hope mystery, The Paris Spy, and he wanted to know if MacNeal learned anything surprising about the fashion icon. "She had a lover who was a high-level Nazi intelligence officer, and her anti-Semitism is well-documented. The Nazis also gave her her own code name." "But she's not portrayed as all bad or all good," John Charles said. "She's more of a gray character." "Coco Chanel was all about Coco Chanel," MacNeal replied. "She looked for what would be advantageous to herself, or for something that would amuse her." MacNeal believes that her background in the publishing business helps her feel at home with the entire process. "It didn't make getting published any easier," she laughed, "but I can say that I know 'how the sausage is made'!" 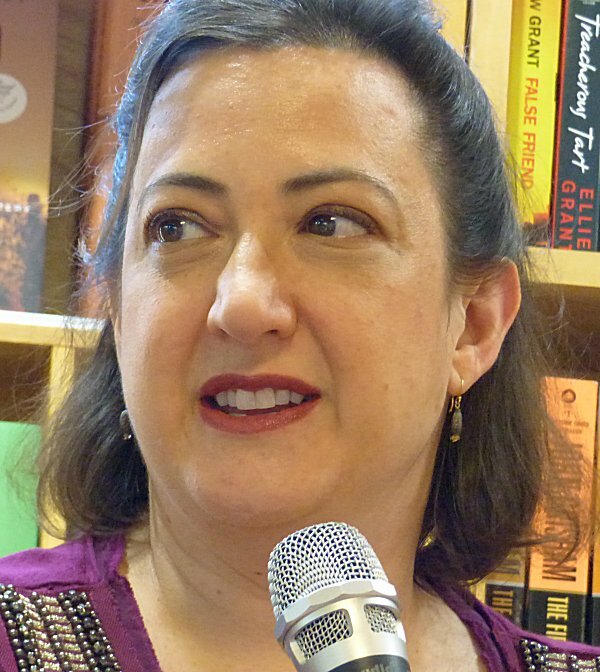 Some of Susan's past work experience also includes spending a year in Vermont as an author's assistant to John Irving. It was lonely and cold. "It was an interesting experience. I'm glad that I did it, and I was glad when it was over." The best advice MacNeal can give about writing is from Winston Churchill himself: "Never give up." She went on to say, "Churchill was very difficult and very eccentric, but he also had a very low turnover rate from the people who worked for him. I think that says a lot about the man." 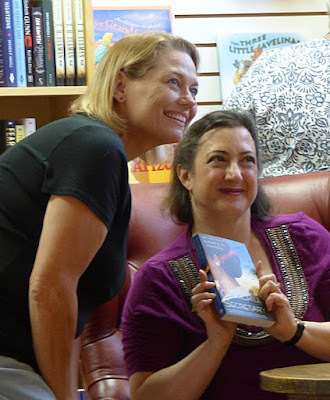 Asked for book recommendations, Susan told us that she'd recently read Sujata Massey's The Widows of Malabar Hill about a woman lawyer in 1920s Bombay, India, and Black Rabbit Hall by Eve Chase. She loved both books. If she could invite any three authors to a dinner party, Susan would add Louisa May Alcott ("because of so many of the short stories she wrote! "), Agatha Christie ("whom I would watch very carefully! "), and Winston Churchill ("he did write a novel when he was a young man"). What would she serve? "Roast beef and Yorkshire pudding. Trifle. Churchill loved champagne. I think I'd skip the soup course because of Christie and her knowledge of poisons!" The working title of MacNeal's next book is The Prisoner and the Castle. It's based on a World War II prison camp in Scotland. SOE agents "sometimes learned too much and had to be taken 'to camp.' Remember the TV show The Prisoner starring Patrick McGoohan? It was based on one of these camps." When I asked her which one of the Hebrides she set her "locked room mystery" on, she replied, "I made up my own island, but it's based on the Isle of Rum." MacNeal corresponded with one of Churchill's secretaries, who read Mr. Churchill's Secretary and told her, "I enjoyed it. We secretaries didn't have time for all the things Maggie does-- but I do think you should keep on going." Paige Shelton (who was the person I'd been saving a seat for) told Susan, "My 23-year-old son loves Bear in the Big Blue House, and he's going to be thrilled that I met Mrs. Bear!" which made us all laugh. Another fan asked MacNeal if she saw an end to the series. (I think many in the audience held their breath waiting for the answer!) "I'd like to get Maggie and her friends to V-E Day," she replied. What's her writing process? She has a husband who does freelance work, so he's around the house a lot. She considers this her job and tries to write every morning while her son is in school. But sometimes she just has to lock the bedroom door of their small apartment in Brooklyn...although she still may hear banging on the door and her son calling out, "Mom, I'm so bored!" How did she come up with her main character's name? She looked up the most popular baby names for the year her character was born-- 1915. The third most popular name was Margaret, and Susan liked the sound of that name. "'Maggie' sounded warmer, more approachable, and then I looked up a list of famous British people. When I saw Bob Hope's name, I knew I had it." One of the last fan questions was about the possibility of Maggie Hope coming to the silver screen. There is a possibility, MacNeal told us. "Daisy Ridley, who starred in the new Star Wars movie and in the new Murder on the Orient Express, has bought the rights to Maggie Hope, so we'll see what happens!" The signing line was a long one, filled with excited chatter and laughter, but I waited very patiently. Why? Because I got to go out with Susan and Paige after it was all over. Wide-ranging conversation and good food after a wonderful event at The Poisoned Pen...Who could ask for anything more? Another winning night at PP! I always like your 'on the scene' reports of their events, Cathy. You're lucky to have that place within striking distance. And I strike it as often as I can! Fun!! Thanks for sharing, as always. And dinner out with two great people! !